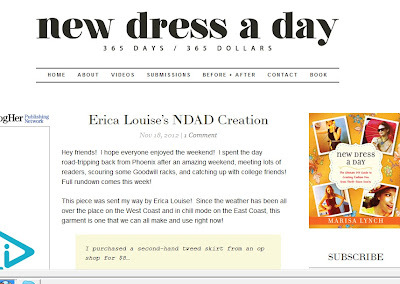 Wow, what a lovely surprise today, to see my skirt-to-cape refashion, appearing as a reader submission on the stupendous New Dress A Day blog. Thank you Marisa Lynch! 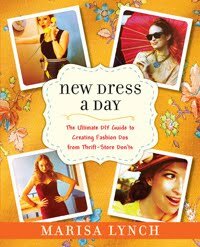 Speaking of New Dress A Day, did you know Marisa has recently released a book? 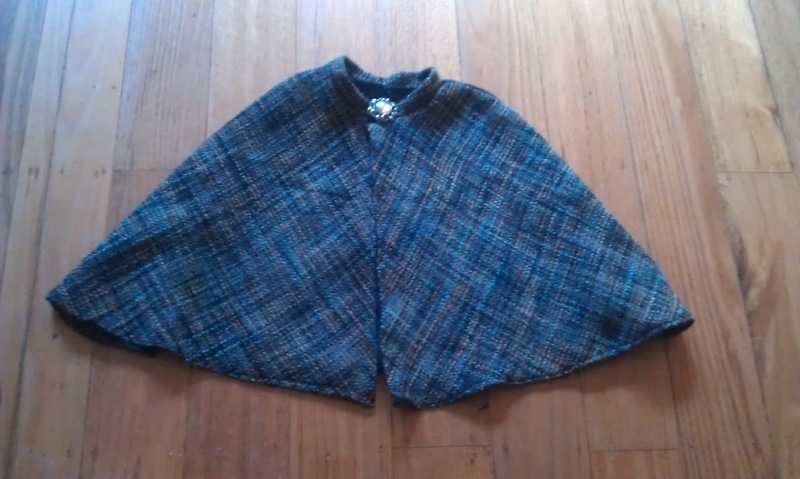 "Based on her wildly popular blog of the same name, guerrilla seamstress Marisa Lynch shows you how to easily (and affordably!) transform your wardrobe from frumpy to fabulous! With just a snip here and a stitch there, your basement bargains will rival anything in designer collections. Yes, with a little imagination—and DIY tools like needles, thread, and safety pins—you too can update an outdated castoff." Her book can be ordered via booksellers listed here. Amazing! I was just coming over to congratulate you cuz I saw your rehab piece on NDAD! Woohoo Erica Louise, way to go!! !